Come and experience the NEW Ideal-tek Biology Tweezer Line at MD&M West 2018, booth 3266 from from 6th to 8th February 2018 in Anaheim. 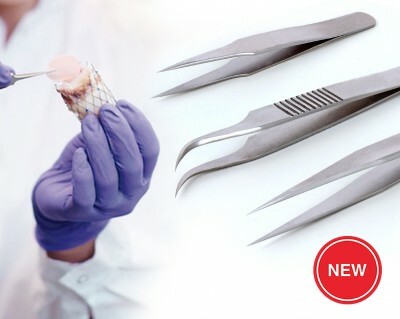 The Ideal-tek High Precision Tweezer line has been expanded with the addition of our new Biology Line to meet the most stringent ultra-high precision applications. Made of superalloy (CX) or high-alloy stainless steel (DX), Ideal-tek biology and mini-biology tweezers are the perfect choice to be used under a microscope as their ultra-fine tips are ideal for handling extremely minute material and grids. The superior alloy materials resist extreme temperatures, chemicals and other harsh conditions. The combination of ultra-fine tips and superior alloy materials, makes these tweezers ideal for the most demanding applications. For more detailed information please see our Biology tweezer leaflet.